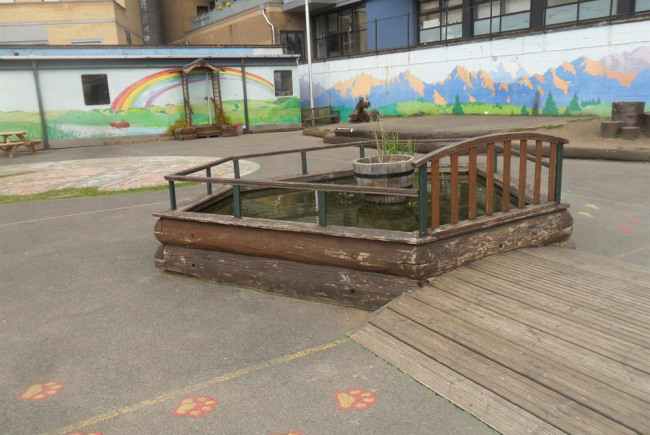 New home for our recycled goldfish, made from reclaimed materials, as our existing pond is at the end of it life. We currently have re-homed/recycled 12 beautiful gold fish to join our existing goldfish, Fish & Chips. 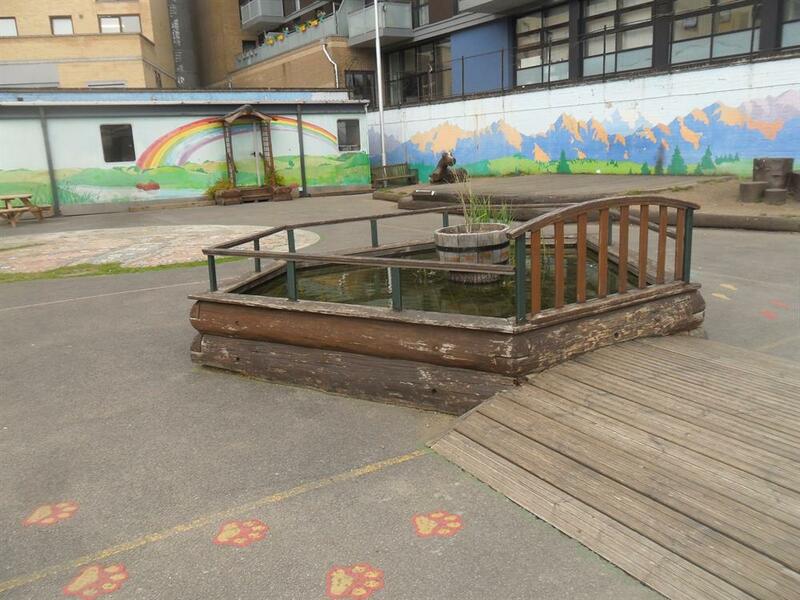 Our current pond is in the middle of our tarmac playground, which is surrounded by buildings. We need to move our pond to provide a more suitable area, which would include making the environment more 'green'. The existing pond is beyond repair. 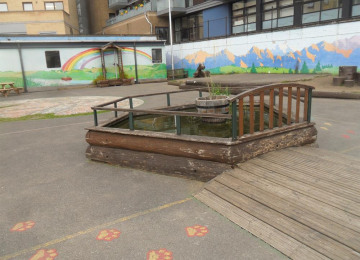 The children at the school love looking at the pond and trying to care for our goldfish. 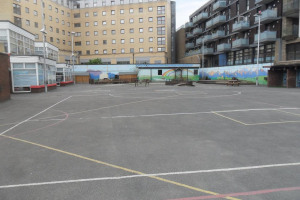 Many of them live on estates and do not have any access to pets and this resource at the school enhances their school day. Plus having responsibility for the fish and habitat leads to ownership and provides enjoyment. 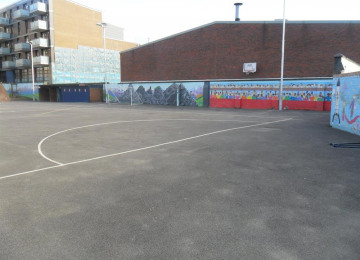 This is an area that the school finds difficult to finance with the current budget restraints. 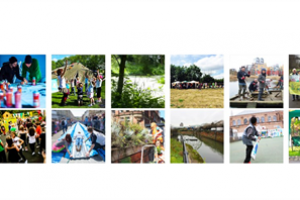 However, the benefits to the children, staff and parents, in terms of enjoyment and having a nice habitat is difficult to measure. 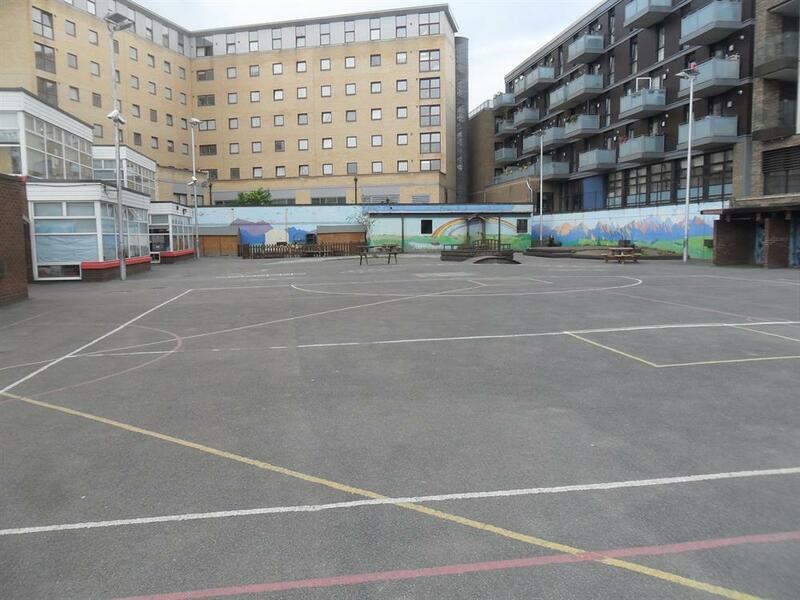 School is locate off busy main roads, with an estate housing opposite and flats to the side and around the playground. With views of the Shard and many, many office buildings. Very little green space and places of recreation nearby. 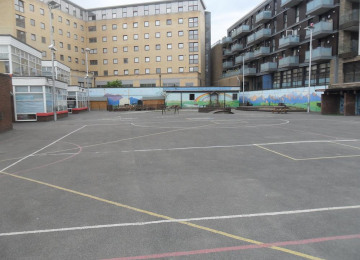 Hello, Friars is a vibrant multi cultural one form entry primary school located in the Borough and Bankside ward of the London Borough of Southwark. We have a long history of high achievement and enrichment and we aim to make every child’s time with us as valuable as possible. Our children are 3 to 11 years old and we currently have 210 on roll. 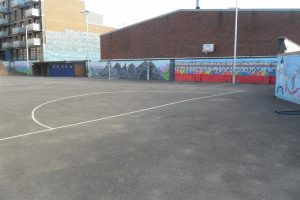 Project Delivery Manager: Friars Primary (Foundation) School The Project Delivery Manager takes legal responsibility for receiving and spending the funds raised and ensuring the project is delivered.